Japan is a place rife with opportunities for entrepreneurial people who have the drive to sniff them out. Have you ever thought that maybe you deserve to get more money for what you do, but there’s just no way you’re going to get a raise from your company? Have you felt under the gun at work, but feel like you can’t quit cos you can’t make enough money to pay your bills? You don’t need to beg, you just need a side-gig. 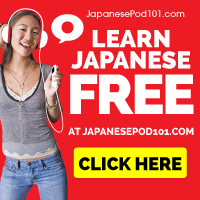 If you’re an English teacher looking to change their lifestyle and income, or a corporate salaryman trying to make a little cash on the side, setting up a freelance gig in Japan is an easy way to make a little cash on the side, or even turn it into a full-time career. It makes a great intermediary step between different full-time jobs, or when you want to transition out of the nine-to-five (or quite possibly eight-to-six) and into operating your own business. If you’re in Tokyo, this is surprisingly easy to get into, so I’m going to run through some of the reasons to be a freelancer, the legal hoops you may have to jump through and how to start making bank on the side. In his book “Born for This”, Chris Guillebeau says that everyone should have a freelance side-gig. There are just too many upsides, and as long as you don’t have an exclusivity contract with your employer, there are basically no downsides. 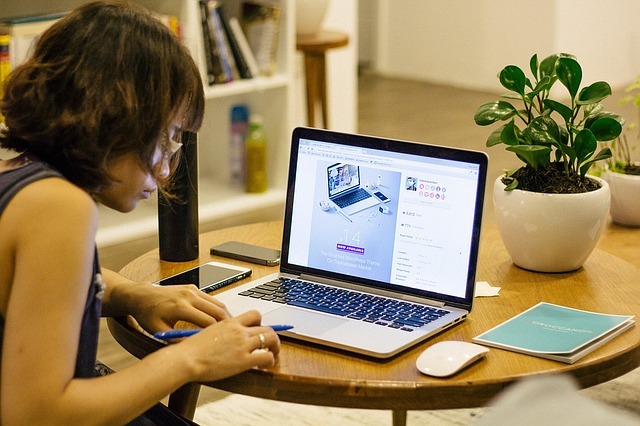 You can work from home or from a cafe, or in some industries even travel around the world while still picking up a paycheck, as long as you have your laptop and a reasonable internet connection. For the amount of work you’ll do as a freelancer, the pay is often excellent compared to your hourly rate when you calculate that from your full time salary. When I was teaching English full-time, my salary increased a great deal with each new job I got. I realised, though, when I was making ¥320k per month, that my hourly rate hadn’t gone up very much, yet my responsibilities and work I had to do outside of school time had gone up a lot. I didn’t want to work 40% harder for 20% more pay! But when you break out and go freelance, you can set your own rate. My first web design gig I charged what I thought would be a reasonable rate. It took me three days and a few meetings to get the whole thing sorted, but in the end I walked away with the equivalent of a quarter of a month salary at my other job for just three days work. As I got better at what I was doing, I raised my rates. After doing this I actually got more clients, and some high quality ones who didn’t try to haggle me on price and trusted me to do a great job. When you work full time, appreciation for the hard work you put in often seems rare and not forthcoming from bad bosses who only talk to you when there’s a problem. When you are working for your own clients, you’ll find that they generally give praise and thanks for the work you provide. After all, you’re saving them time and taking something off their plate – you are genuinely helping them. It makes a huge difference to motivation to be told that you’ve made something great, it’s just human nature to enjoy being praised for something you worked hard on. You might be learning a lot about learning, education and child psychology as an English teacher (I know I did), but if you want to move out of English teaching then those skills might not help you as much as you think. Far from being worthless, teaching skills just may not be applicable to the industry you’re trying to move into. Take my example, digital marketing. I’ve been doing digital marketing for nearly two years as a freelance gig, but without that experience I never would have been able to work as a social media marketer or PR consultant as I have been since October 2016. Jumping straight from an English teaching career into marketing might have had my interviewer asking: “Erm… so… do you have any experience marketing online?” While I still love teaching (now my side job), I’m glad that I can increase my market value by doing work outside of that realm. Now if I wanted to get a full-time job in marketing, I’m confident that I could do so. When you’re in a full-time job, you do what you’re told. You kinda have to! If your boss tells you to clean the toilets every day for the whole year (this happened to me), you just have to say, “yes sir/madame” and get on with it. When you are freelancing, there is nothing wrong with saying no to bad (or potentially bad) clients. In fact, I highly recommend doing that when you see a bad project coming your way and have serious doubts about it. I had a meeting with a potential client in Roppongi, the owner of a bar/nightclub off the main street heading down towards Azabu. Immediately after walking into the place I felt like it wasn’t my kind of scene. I don’t really go out to bars or nightclubs often, so I really wasn’t sure even before walking in if I was the kind of person that should be making their website. But I took the meeting and started telling them about my web design and social media marketing service. Immediately after telling them my rate, they wanted me to cut 40% off the price of my service! I explained why this was unreasonable and why I couldn’t do that (I don’t like to discount unless the person is bringing me a lot of business), but he was insistent and seemed like he wasn’t going to hire me at my rate. So I left. I got an email from him later asking me to lower my price 20%, but I still said no. If you have heard of the 80/20 rule you’ll know that 20% of your clients give you 80% of your headaches, and this client seemed like a headache client from the first discussion. He’d be haggling me and trying to squeeze more time and give less for it the entire length of the contract, so I dropped the whole thing. Saved me a lot of time, and only cost me a little short term cash. You can find other business, but it isn’t worth fighting to get money from clients who don’t want to pay you fairly for your work. This is the power you have when you are freelancing, the power to say “No” to bad work. For me this is one of the biggest reasons. Do you feel secure when you have a full-time job? Just because the same amount of money comes into your account on the same day every month, does that feel safe to you? To me, that is not security, that is a precarious risk. At any time I could be fired and lose my only way of making money. When I was teaching full-time, I only had one source of income. I moved to a new house in Nagoya (out of my company apartment) and if you have ever moved house in Japan before, you know it can be surprisingly expensive. We wrote all about the mistakes foreigners make when looking for an apartment in Japan, and I made ALL of them. I started at the new company flat broke and eating noodles every day for a month while I waited for my first paycheck. By Golden Week there was trouble at my new job, and by June I was fired by the owner of the small school because of the issues between me and my Japanese co-teacher. Rather than get into that story, the short version is that I was rehired back a few days later after the other staff at the school came out in my defence, and the school was forced to admit its mistake. I learned a valuable lesson from this experience that probably kickstarted my freelancing career: Having a job is not security if somebody has the power to fire you at any time even if you did nothing wrong. So if someone fires you from one of your jobs, but you have six different jobs all giving you a sixth of your income, then you’re totally fine! Just find another part time gig, get a few more clients or take advantage of the extra free time to do a course and improve your skills even more. I just finished The Marketing Seminar and learned so much that I’m boosting my returns for the social media job I’m doing, plus I can get clients more easily by knowing how to market myself. When I had been in Tokyo and saw the incredible opportunities here, I knew I had to make a change for my future and my bank balance. You can do it too, but bear in mind that this is not for the faint of heart. Just like my advice in a previous article about making great money part-time as a teacher, this is risky and it is really 100% down to you whether you make rent. As a freelancer you have to wear many hats and provide a lot of value, or people just won’t pick you. Seth Godin’s Udemy course on freelancing really helped me get started, but it is a constant journey of learning and adapting and facing rejection on an almost daily basis. This teaches me skills that are incredibly valuable in the global economy, and if you are ready, willing and able, you can do it too. Disclaimer: I am not a lawyer, but I have met a lot of people doing this kind of work and spoken to lawyers, immigration officers and tax officers to make sure that the work I’m doing is legal. There are limitations on the kind of work you can do if you are on an instructor visa or if you are on a Humanities/Int’l Services/Engineer visa. I’m incredibly grateful that they added Engineer to the standard humanities visa in 2014, as it appeared on my card when I renewed my visa and is allowing me to do the work I am doing now. Please double check this with immigration for whatever work you want to do. I cannot guarantee that the laws don’t change or that my lawyer’s advice is correct for everyone. Having said that, the Humanities/Int’l Services/Engineer visa is incredibly flexible but also quite restrictive depending on when you first landed in Japan and where you live. In some prefectures they expect you to have a full-time job but in others they allow you to part-time it at a bunch of places as long as you are making enough money to pay your bills. In Japan, the main thing you have to do is get permission from a government officer at immigration to make sure you can do the work you want to do. If they give you the hanko (stamp), you’re good. When I decided I wanted to do this I spoke to a lawyer and went to immigration ready to hand in a form called 資格外活動の許可, or “Application for Permission to Engage in Activity other than that Permitted under the Status of Residence Previously Granted”. A mouthful I know. The details (in English) can be found here. This would allow me to do work other than what my visa was for, and for freelancers that means just about everything. If you want to do some photography, a bit of web design work and some part-time teaching, you’ll probably need special permissions for all three. The good thing is that you can usually get these permissions if you ask nicely. I got one for my startup school project with my evidence being a flyer quoting the price and location of the classroom and the intended course contents. Simple as that I had a 1 year permission to run my own class on the side! A lot of different jobs can apply to this kind of work, and just a small list of them can be found here on this Tokyo Immigration Lawyer service website. This includes things like Software Engineer, Computer Programmer, Game Programmer, Project Manager in the field of IT, software, computer, technology, science, architecture and so on, Accounting, Economic analyst, Financial analyst, HR (Human Resources), Legal business, Teacher and instructor of foreign language, Translator, Interpreter, PR (Public Relations), Fashion or interior design, Product development, Copywriting. The list could go on! Let me go into a few of these kinds of jobs that are easier to do as a foreigner in Japan, even if you don’t speak Japanese! There’s no point going freelance if you don’t have a marketable skill that you can get people to pay you for. I can’t tell you what your skills are, but I can tell you some of the talented freelancers I’ve met in Japan doing great work and making a lot of money doing it. The first task is having something to show the people you wish to work with. It can be a portfolio, a website, anything! There has to be something visual or audible to present to clients if you want them to hire you, recommend you or keep you in mind. In the beginning, I marketed myself primarily as a food photographer. However, I didn’t have a lot of food photographs in my portfolio, but I did have plenty of event and portrait photos. Naturally, the people who saw those hired me. When I started adding more of my food photographs, people took notice and I got more food-related work. There are lots of foreign-owned and foreign-run companies in Japan, and they often prefer western style websites. A lot of Japanese websites are very text heavy and have simple design that is reminiscent of western websites back in the early 2000s. 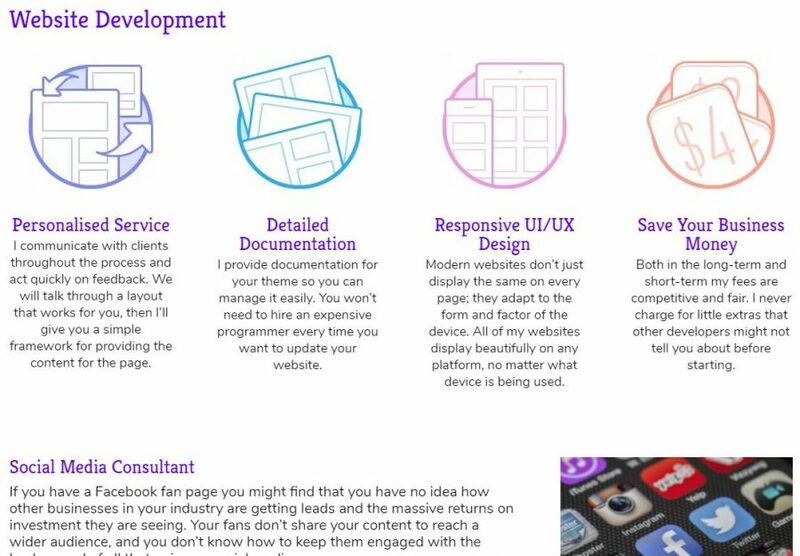 Even with WordPress and a flair for design you can do a better job than some full-service web design companies, and that is what I have built my website design business upon. Once you get a few clients and overdeliver for them, you will get more simply by word of mouth. I actually got my first client through luck. A friend of mine at one of the schools I was working at told me that her friend was looking for a western web designer who spoke English and had a bit more design flair than some of the Japanese (hideously expensive) corporate websites. She had seen Live Work Play Japan and knew that I was reasonably good at design and web work. So she set me up with her friends looking to start their photography business with a professional client facing site. I met the two awesome guys for a coffee, put a contract together and built them the website in just a few days. It was really fun work and from there I started looking for clients on WordPress developer sites, through UpWork and connecting with people in Tokyo at business events. My network really has gotten me almost all of my clients, and knowing people from going to startup meetups and doorkeeper events has gotten me a lot of clients. There’s a kind of rule in business called the strength of weak ties. Being introduced is a much better way of making a human connection with someone than just cold calling, emailing or even *gasp* facebook ads. I’ve never run a single ad for my web design business and I’ve had some pretty cool clients. You can take a look at my portfolio site at charliemoritz.com. Freelance translating is one of the popular ways for long-term expats here to get out of English teaching for good. It makes total sense that getting a few freelance translating gigs on the side will help not only pay the bills but get you set to transition into a full-time translation gig if you want to. Martin has done a lot of this so I’ll let him explain how it’s done. The market for translation is HUGE. Projects all around the world need writing for promoting their activities, their websites, events and products. They want to focus on their business, not on writing. Hiring a full time writing staff member is expensive, so often these companies will hire freelance writers and then edit the work in-house. In my case, I work with Japanese clients who need work translated into English. Quick note: Interpreting is when you convert spoken Japanese into English, and translation is for writing. Don’t mix these words up with translators and interpreters. You won’t hear the end of it from them! There is an increasingly high demand for what is called, “Transcription” especially in film and video projects. You make a voice recording of a written document. You will need some special equipment and a quiet place to record these. It can be worth it to look into but finding long-term well-paying projects will be harder than with the strictly written jobs (writing, editing, proofreading, translation). Read about the Live Work Play Japan methods, “The Grandpa Method” and the “Savvy Teacher Method.” Apply these principles here and seek out people who are hiring, at events, on their websites or email them directly. While the demand for outsourced writing is huge, the competition has got to be growing at twice the pace. Basically, knowing people who know people is the absolute best way to secure GOOD work. There are a lot of terrible projects out there that will have you work all day long and then when payment time comes, they ghost you. Knowing people mostly eliminates this. Online has super high competition, but Upwork, Freelancer, and Fiverr always have loads of writing jobs of every description. In the short term, these can be good and can lead to follow on jobs if you do great work. You want to find clients there and then work with them off-site in the long term if you can. Right now, there is huge demand for what is called, 産業翻訳 (sangyo honyaku: Industrial translation). Specifically, for patent translation, sciences like chemistry and automotive. IT and literature have a huge demand too, but competition is also high. If you have a law degree, you will be set, as the demand for translation by law degree holders is massive and cannot be met by most people in the field. I was surprised when I found out that my coder friends had the same visa as I did. Some of them are working for big companies with a big presence here like Ubisoft, Square Enix and Konami, while others are working for small app developers with fewer than 10 employees. Want to join a startup? That is totally possible with the Engineer status on your visa. Fancy yourself as a writer? You can definitely pick up some writing gigs on the side with “Humanities” written on your zairyuu card. There are lots of publications that hire English writers like the Japan Times, among others, and you can find a lot of freelance gigs on places like Glassdoor, UpWork and even CraigsList. If you know the right people and just reach out then you can get freelance blogging contracts like I had with the WPMU developer blog. This is also a great way to get your name out there and I still get lots of hits on my design site from blogs I’ve written in the right places. “Therein lies the rub” – finding clients is really the be-all and end-all of freelancing. If you find them, you can make a lot of money, improve your skills and market value and oftentimes just have a lot of fun doing great work. If you can’t find them, well, you’re going to struggle. Top advice I got when I started was: “don’t quit your day job until you have set yourself up and have some idea where your next month’s paycheck is coming from”. Something that might help is to start thinking of your income by the year instead of the month. You might make ¥700,000 on month, but then have just ¥200,000 the next month. You can work as much or as little as you want to once you’ve got a steady roll of clients, but in the beginning you may have to work a whole lot just to make sure you have enough money coming in. If you go out into the harsh and sometimes difficult world of freelancing and you think that you’re going to just make a portfolio site and then people will somehow find you through the magic of the internet, you’ve got another thing coming. I have gotten a grand total of ZERO clients directly from my website. I have a website because I need to prove my skills to people I meet in the real world. As a freelancer, the best piece of advice I can give is that human connection is literally magic. Meet people in person and talk to them, and you’ll find that they are much more ready to hire you if you are just a nice, thoughtful human being who knows how to listen. Human connection is everything for a freelancer so don’t be afraid to take a train out to where your client is to build the relationship. 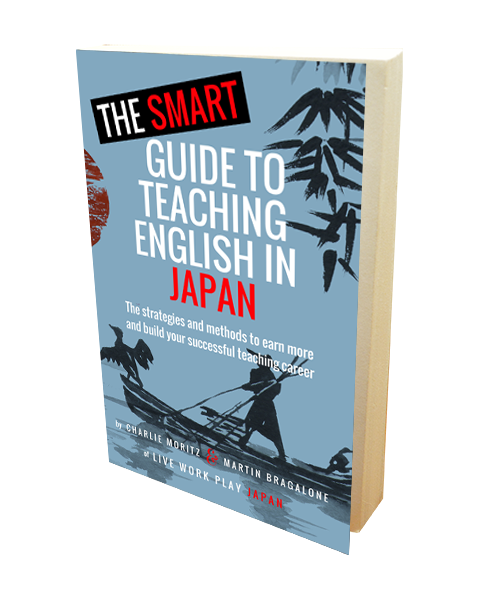 We’ve said this several times on the site and also in our book The Smart Guide to Teaching English in Japan, but being a human being and not an email to be dealt with or a LinkedIn connect request really helps you get where you want to go in business, especially when the only person you are representing is yourself. You have to get out there and prove that you are worth paying. Going to events is absolutely one of the best ways to meet people who can connect you. I’m not talking about greasing back your hair and throwing business cards at everyone, though you will still need business cards here as LinkedIn hasn’t quite ended the 名刺 meishi market in Japan yet. No, I mean going to industry events that you want to find clients in and making connections with people. Want to be a programmer? Go to industry events, hackathons and startup coding camps. Want to make websites about wine? Go to wine expos at Tokyo Big Sight and talk to the vineyard owners or distributors that have crappy websites and offer to make them a much cooler one. Doing amazing, remarkable work really helps in this regard, so that when you show people your portfolio they say “wow”. While it might not be the worst thing in the world when you’re working for a company to just get the work done so you can get it off your plate, there really isn’t an excuse for doing bad work when your reputation is on the line. One of the small (and yes I mean small) inconveniences of freelancing is that you need to start filing your own taxes. Even if you still work at a school, you’ll need to go to the tax office and register a simple form for what is called 個人事業税 (kojinjigyounushi) or “Sole Proprietor Tax”. You’ll need to register this within the year for the taxes that you’ll be filing for, which means that taxes due in March 2018, for instance, should ideally be filed before the end of 2017. “Sole proprietor” basically means freelancer, and the form is really easy to fill out. It’s usually all in Japanese but with the help of a tax officer (should be easy to see one if you go during the year rather than during tax filing time) and possibly using Google Translate or something to scan the kanji and get a translation, it should be a breeze. There are two types of form for a sole proprietorship: the white form and the blue form. If you need to do a profit loss statement, aka your company has pretty regular expenses that need to be taken into account before tax, then you’ll need the blue form. If you are just doing work that takes your time and only have a few small expenses (like a laptop for example), then you can do the white form. When it comes to tax time you can hire an accounting firm for about ¥30-40,000 yen to do it for you, or you can do what I did and just go to the tax office yourself and let one of their staff walk you through the whole thing. Here is a copy of the tax form you’ll need to fill out. Bear in mind that if you are a dependent or unemployed, you’ll lose your benefits if you file this form because it indicates that you intend to work for yourself. Just something to keep in mind. Here are the tax office locations throughout Japan, so find your local one and do it there. For the overwhelming majority of people, starting a company is unnecessary and expensive. According to my lawyer, the costs are about ¥200,000 to register the company, and between ¥100,000 and ¥250,000 for the lawyers fees to handle the paperwork required and ensure you are doing everything you need to do to qualify. The real issue comes if you are on a working visa. If you are married to a Japanese person or have a permanent residency visa, you’ll be able to start a company with a tiny amount of capital but, for better or for worse, in order to start your own company on a working visa you will need no less than ¥5m yen in capital in order to qualify for your required change of visa to a “business investor”. Of course you don’t need to pay that money, that would be insane. You just need to have a single deposit of not less than ¥5m into your intended business account in order to even apply for the business investor visa. So if you do want to form a company, an easier path and the one most taken is to marry a Japanese person (big commitment, probably best not to do it just to start a company, but I’ll let you make your own decision on that), or get a Japanese investor who will start the company for you. This second one is also risky, as you may be handing the reins of your business venture to somebody else. If you trust them with your life and know they would never betray you, it might be workable. Don’t just trust this to anyone. You have no idea how they can legally screw you out of your own company, like Ray Kroc did with McDonald’s. I’ll write another piece about starting a company in Japan once I’ve finished forming my company. The main benefit of starting a company is that you will find it much easier to hire employees (even if it is really expensive in Japan), and you get such great reductions that you can basically pay minimal tax compared to a sole proprietorship where your expenses are capped. This is one of the longest articles on our site at the time of publishing. We hope you’ve found it useful, but really we can only show you what has worked for us; we can’t take that leap for you. The first thing you need to do if you want to freelance is just start doing the work you want to do. Like Tia said, if you want to get work as a food photographer, then do some work as a food photographer! You don’t need to get paid for the first one, and if you enjoy doing it then it will be fun anyway. Then you can start building up a portfolio of your work to put on your website (you will probably need one of these). Don’t I need to be qualified? For almost everything, no you don’t. You can get qualifications in almost everything here in Japan, but really all you need to do to land your first freelance client is be better than them at what they need to get done. I am not the world’s greatest web designer, heck I can barely code HTML and CSS and I’m embarrassed when my software developer friends start talking to me about backend code, Apache and PHP, which I couldn’t tell you much if anything about. The point it that I knew more about making a website than my first client, and every client after that. That’s all you really need to do. So go out there and start freelancing! If you liked this article and have a friend who might benefit from reading it, please share. Have you tried freelancing before? What was your experience freelancing in Japan? Not sure if you should give it a try? Sound off in the comments below.